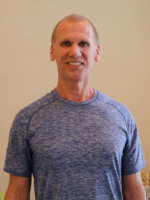 John founded Jupiter Massage & Pilates in 2000, and is trained in Deep Tissue, Neuromuscular & Trigger Point massage. John is highly skilled at incorporating stretching techniques into his massages to quickly release muscles in spasm. John also specializes in the Cupping Technique. John graduated from Alpha Institute of Massage in 1999, is also a member of FSMTA & and continues to extend his expertise and care in Jupiter, FL. 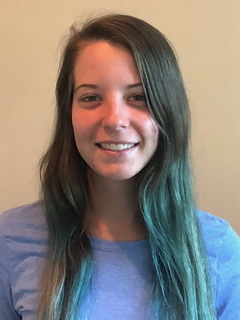 Jupiter Massage & Pilates introduces Megan. 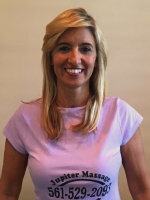 She began her journey in body work in Park City, UT studying Reiki, and later received her certificate in High Touch Jin Shin, an acupressure style technique. She is a graduate of Palm Beach Academy in Lake Park, FL and is also a member of the American Massage Therapy Association. Now an experienced therapist in Jupiter, FL, her massages at Jupiter Massage & Pilates include hot stones and aromatherapy as well as her distinctive healing touch. Jupiter Massage & Pilates introduces Jennifer J. Licensed in 2004, Jen is fluent in Swedish, Reflexology & Deep Tissue Massage and likes to include energy work into her massage. 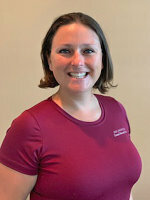 Jen is often considered the “Best” Cervical/Neck therapist at Jupiter Massage & Pilates with her ability to quickly and effectively alleviate muscle spasms and severe neck pain through massage. Jen is a graduate of Palm Beach Health, Beauty & Massage and continues to practice her unique healing abilities in Jupiter, FL. Jupiter Massage & Pilates proudly introduces Rebeca. She graduated from the Palm Beach Academy of Health and Beauty. Rebeca incorporates hot stones, aromatherapy and deep tissue into her massages to insure a relaxed experience here at Jupiter Massage and Pilates. 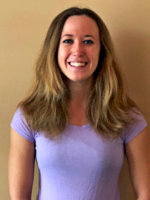 Jupiter Massage & Pilates introduces Courtney. She has long had a passion for the healing arts, beginning her journey with Pilates and massage in her home state of Kansas. She has since turned her passion into a career becoming a Certified Pilates Instructor and Licensed Massage Therapist now active in the Sunshine State, specifically in Jupiter, FL. She incorporates hot stones, aromatherapy and deep tissue work into her massage, as well as specialized stretching techniques to ease tension throughout the body. She also specializes in sports specific stretching to get her clients back on top of their games. She takes a great interest in tailoring each massage to her specific client to maximize the therapeutic experience. Jupiter Massage & Pilates introduces Laura. With over 12 yrs experience in the healing arts Laura draws upon her training in Swedish, Deep Tissue, Myofacial, Thai Massage and Reiki to custom tailor a massage for each client’s specific needs. Her bodywork is often described as deep, yet gentle and nurturing. Laura’s passion for healing has also led her to study Qigong and Yoga, completing a 200-hr Yoga Teacher Training Program at Camel Rock Yoga Center, Center Valley, CA in 2000. She is currently apprenticing through Xolar Vibronics School of Consciousness in Vibrational Healing and Spiritual Ecology. Now practicing in Jupiter, FL, she is an exceptional addition to Jupiter Massage & Pilates. 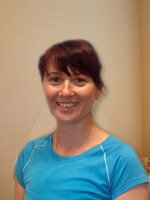 Jupiter Massage & Pilates introduces Julia. She is passionate about massage therapy and on an alternative whole body approach to wellness. She graduated from the Tampa Bay Aveda Institute and became a Licensed Massage Therapist and Esthetician in 2014. Julia specializes in therapeutic massage, prenatal massage, deep tissue massage, and also offers waxing. 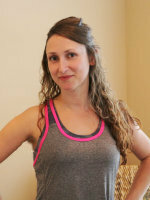 Jupiter Massage & Pilates introduces Jade, she is our new Pilates Instructor. While a student studying Anatomy and Physiology, currently undergoing a Pilates Apprenticeship program here at Jupiter Massage and Pilates. Jade is strong member of our team and has been devoted to specific needs of our clients. She works with them one on one to insure a therapeutic experience. 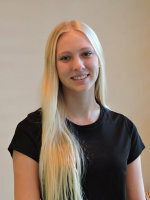 Jade is excited to be part of our Jupiter Massage and Pilates team. Jupiter massage and Pilates introduces Jennifer. She graduated from the Palm Beach Academy of Health and Beauty in 2014 and is thrilled to be a part of our team. Jennifer is certified in pregnancy massage along with deep tissue and incorporates aromatherapy and hot stones into her massages. Jupiter Massage & Pilates introduces Kathleen. A lover of both art and anatomy, Kathleen finds it beneficial to visualize the body’s many different muscles underneath her fingers during a massage, thereby helping her to visualize the potential knots and entanglements in the fibers. She utilizes hot stones, cupping, aromatherapy, and stretching into her massages, but her favorite element to incorporate is deep tissue work. Her decade long background in personal training, athletic training, physical therapy, and orthopedic surgery has given her unique insights into the world of musculoskeletal injuries, so if you find her giving you a laundry list of extra stretches to do at home after your session, don’t be surprised! Kathleen is passionate about helping each of her clients to live lives that are not only mobile and pain-free, but also filled with a sense of loving the body that each of us lives in. She is a graduate of the Palm Beach Academy of Heath and Beauty’s massage curriculum as well as an English alumna of the College of William and Mary in Virginia. This may explain her simultaneous love of the musculoskeletal system and her never ending orthopedic reading list! Jupiter Massage & Pilates welcomes Samya. She has a background in massage therapy and physical therapy as well as a certified Pilates instructor from American Sports & Fitness. Her exceptional energy and attentiveness offers a Private Pilates Session tailored to your body that will be sure to get a great workout and lead you to wellness. Jupiter Massage and Pilates proudly welcomes Renee. She graduated from Medvance Fortis Institute in Palm Springs Florida with honors (3.93) in 2008. Born in New Haven Connecticut. Renee now resides here in West Palm Beach with 10 years of massage therapy experience. incredibly intuitive, Renee can perceive underlying dysfunction on a very deep level. 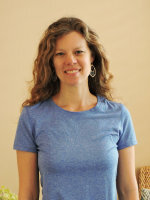 Her range of expertise in East to West techniques includes cranial sacral, acupressure, Reiki healing, trigger point therapy, muscle memory and lymphatic drainage, and myofascial release and unwinding. 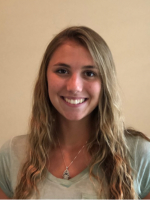 Jupiter Massage & Pilates welcomes Kricket. She came to Jupiter in September of 2016 after spending most her life in upstate NY. Passionate about the mind/body balance, she loves weight lifting, Pilates, and Yoga Nidra meditation. 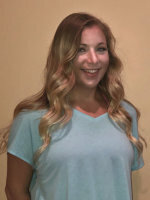 Kricket graduated from the Palm Beach Academy of Health and Beauty in 2018 is a licensed massage therapist and is undergoing a Pilates apprenticeship here at Jupiter Massage & Pilates. Kricket specializes in performance focused massage. Working with professional and competitive athletes, workout enthusiasts, or those beginning a new active lifestyle, a massage & bodywork session with Kricket will be targeted to your specific sport, lifestyle, and goals. Incorporate performance focused massage therapy into your conditioning program to achieve peak athletic performance, shorten recovery time, prevent and improve injuries, reduce stress and muscle stiffness, and enhance overall well being. Her mission is to help you feel your mental, emotional, and physical best!. Kricket brings years of life and family experience to her health & healing work at Jupiter Massage & Pilates. 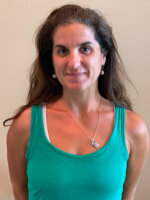 Office Manager and Certified Pilates instructor, she has been with Jupiter Massage and Pilates since 2016 and is dedicated to making sure your experience here is as enjoyable as possible. Her background and exploration in physical fitness and health drive her to help others achieve their goals. With a well rounded understanding of many body types she is able to create a workout regime structured for individual capabilities and limitations as well as personal goals and focuses. Dana has been practicing massage for over 20 years. As the daughter of a massage therapist she was fortunate to have been exposed to the art of therapeutic bodywork at an early age. She graduated from The Swedish Insitute of Massage in New York City in 1995. Originally from Upstate New York, Dana is a former professional dancer and incorporates her innate knowledge of the body with Swedish Massage, Deep Tissue, Trigger Point Therapy, Reflexology, Aromatherapy, and Hot Stone Massage. 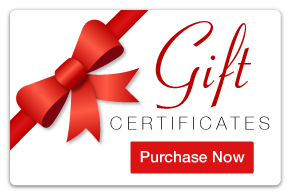 She is also certified in Prenatal and Postpartum Massage. Dana is excited to be a new part of the Jupiter Massage and Pilates team! 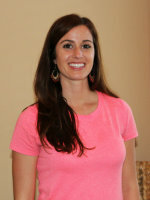 Brianna is a Jupiter native and our new front desk receptionist and assistant at Jupiter Massage and Pilates. She practices yoga and weight trains. She is very excited to be the newest addition to our staff. Korin is a yoga enthusiast originally from Key West, Florida. She's currently in a yoga instructor training program as well as a Pilates apprenticeship. 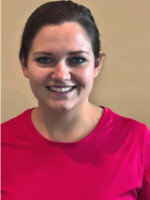 She has extensive personal knowledge in physical therapy and mobility training as well as a thorough understanding of the anatomy of the body and its limitations. 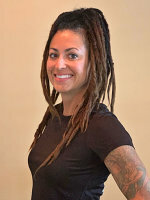 She received a Bachelor of Arts from Rider University in 2005 and began massage training immediately afterword at Health choice Institute & Holistic Massage School. For 14 years she has been a massage therapist, and has continued her training in prenatal, oncology, orthopedic, and hot stones. 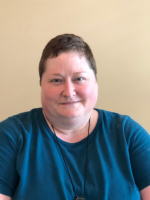 She is a preferred provider through the Society for Oncology Massage and offers therapeutic treatments based in scientific evidence while still developing an exceptional massage experience.